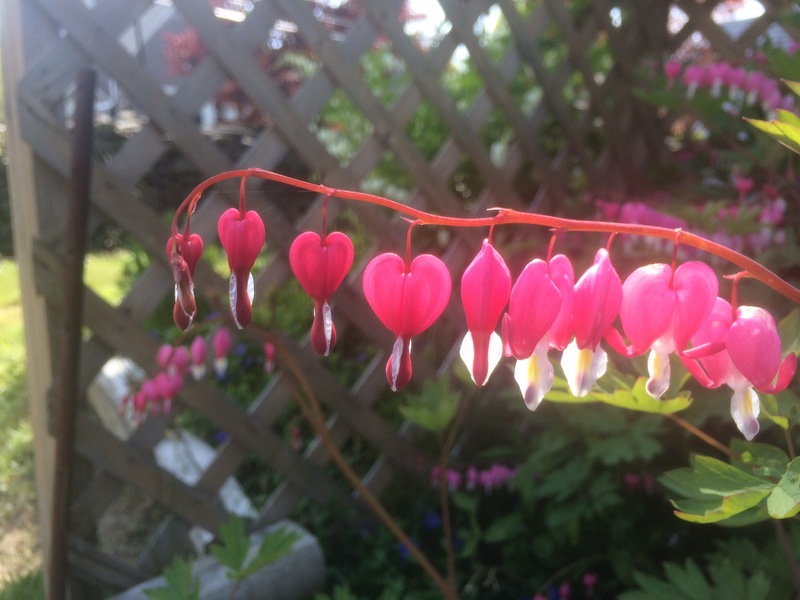 Aren’t Bleeding Hearts perfectly named? 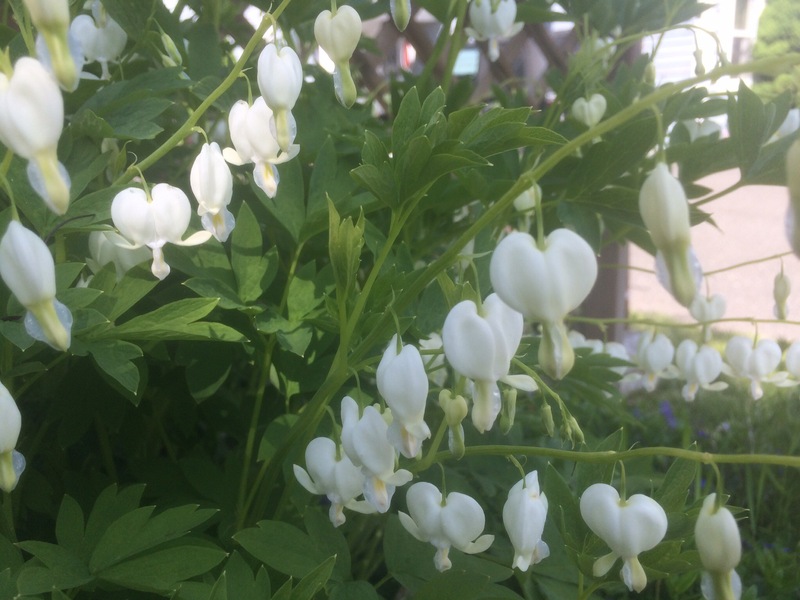 Originally I started with two Bleeding Hearts, one red and the other white, what I didn’t realize is that when a Bleeding Heart is happy, they like to spread the love. My red one is so happy that it has propagated into at least four other plants and so I have a heavily populated section of my front garden in Bleeding Hearts. Luckily I don’t mind because they are so pretty and they last for quite a long time compared with other plants. 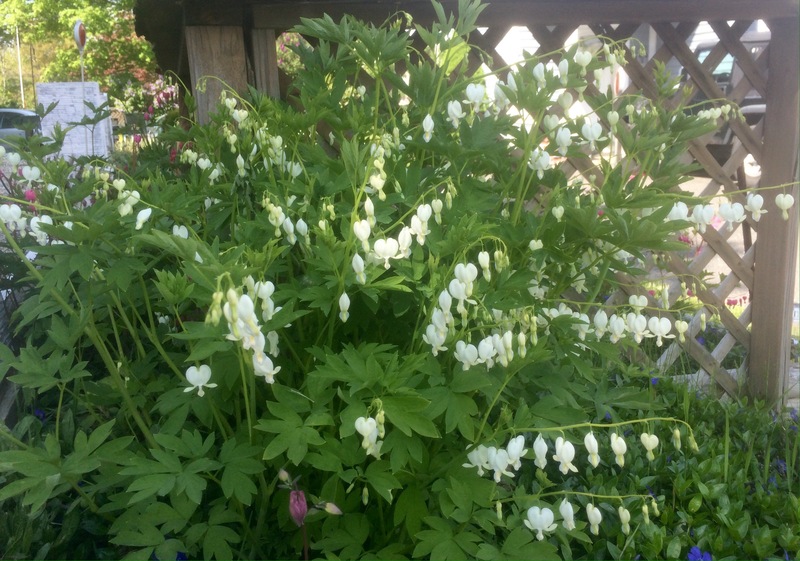 My white one has offspring as well but it isn’t as prolific as the red, I only have a small extra white one growing in the shadows of the original one. 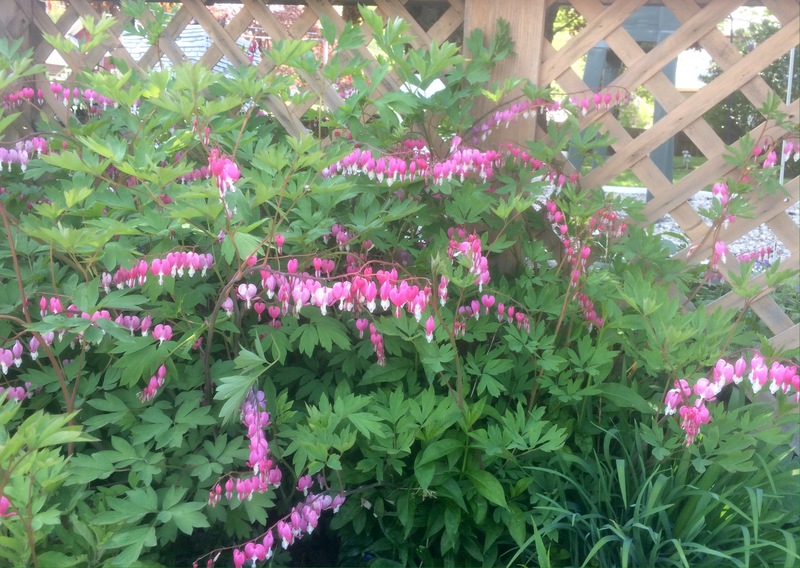 I like having the red and white Bleeding Hearts in the same vicinity, they compliment each other very well.